If a touch gets registered anywhere in a swipe field that counts as touching the card (black). 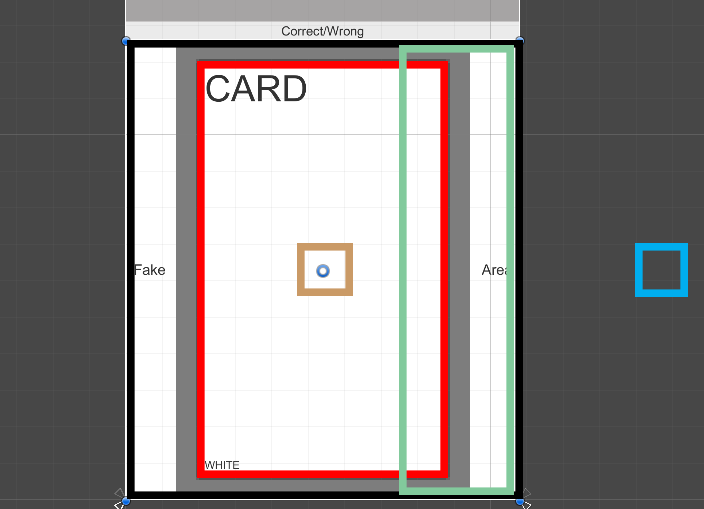 While swiping a card (red) towards a directing, it will move from its deck location (brown) towards a swipe area (green). This area can be any shape or have any locations. When swipling a card away like shown above, you see it will keep the direction of the swipe while still going towards to correct target position. This gives a better swiping feeling. Here is how that is done.